The campaign for President is winding down but the media’s news campaign for the results of the election are running full steam ahead. Americans are tuning in to Main Stream Media and the Internet like never before to follow election results and see where our country is headed in the next four years. It is incredible really, the amount of information that one has access to in America, and that the access and reporting is in real time. It becomes unimaginable that there are places in the world like Russia and China where the government censures the media at it’s convenience. Freedom of speech and of the press are often taken for granted in America. Whatever the outcome, our Election Day coverage in the media displays to the entire world that democracy works. There is no amount of advertising dollars that could ever be spent that indicates just how powerful freedom is. It will be interesting to note not only the variances in the graphic designs but the uncertainty of predictions. In 2004, polling numbers, predictions and maps were cast aside as our Judaical system ruled in the end that George Bush won. Statistics and graphs can misrepresent the truth and be manipulated into reflecting opinion, rather than fact. Will Fox News, that typically leans toward Republican candidates, show graphs that reflect a bias toward McCain? Will CNN, that is stereotypically pro Democrat, yield information that indicates Obama the winner? Time will tell in the final outcome which media outlet is the most reliable, fair and balanced in reporting the results and activities of Election 2008. My prediction and hope is that voters put country first and that in the end all the maps- no matter the source, confirm John S. McCain as the next President of The United States of America. One University of Michigan physics professor and his team applied mathematics, geography, and visualization to show us that those blocky red states and blue states are actually a lovely, purpley, swirly, fishy looking thing. The above image comes from http://www-personal.umich.edu/~mejn/election/. This Google link page lets you see state-by-state breakdowns, with vote totals within each state, and also county-by-county breakdowns, if you click on the state, then click on “County Map” in the upper right-hand corner of the pop up window. http://maps.google.com/help/maps/elections/#2008_election Google also has a map http://myfairelection.com/ where we can follow events at the polls as reported by citizens like you and me. We are only a few hours into the election and already people are posting and logging in to identify problems and successes at the voting booths across America. Here are some great links to get you perusing all the information available with many maps and a few graphs that reflect what is being reported and how the election may be trending. · Color-Weighted Election 2008 Cartograms (results on 5 November). November 4, 2008 – General Election: The voters in each State choose electors to serve in the Electoral College. As soon as election results are final, the States prepare seven or nine original “Certificates of Ascertainment” of the electors chosen, and send one original along with two certified copies (or three originals, if nine were prepared) to the Archivist of the United States. December 15, 2008 – Meeting of Electors: The electors in each State meet to select the President and Vice President of the United States. The electors record their votes on six “Certificates of Vote,” which are paired with the six remaining original “Certificates of Ascertainment.” The electors sign, seal and certify the packages of electoral votes and immediately send them to the President of the Senate, the Archivist of the United States and other designated Federal and State officials. December 24, 2008 – Deadline for Receipt of Electoral Votes: The President of the Senate, the Archivist of the United States, and other designated Federal and State officials must have the electoral votes in hand. January 6, 2009 – Counting Electoral Votes in Congress: The Congress meets in joint session to count the electoral votes (unless Congress passes a law to change the date). God Bless America, her citizens, and especially today, The Voter. Amazon doesn’t say if the book mentions Obama or to whom the book is dedicated to. Black, White, Yellow, or any other shade of peoples, Americans must believe in Red, White and Blue on Election Day. The world looks to America for leadership and stability and when we deviate in our path of Democracy and fair elections, we subject ourselves to further erosion of our power to the world. 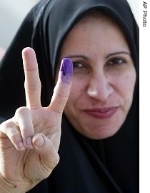 America and it’s allies helped allow for the first voting in 50 years in Iraq with the means of dipping a finger into purple ink, it is not so easy to identify a voter in America, nor should it be. There is a whole variety of problems that we can anticipate. In early voting, usually in favor of Democratic Candidates, we have already seen challenges at the polls. On Election Day, indeed we may have voting machine manipulation and malfunction, polling places that run out of paper, long lines, and a potential that precincts could be overwhelmed by an outpouring of voters. Just imagine in Chicago, if the turnout is so massive with 8 hour waits and not every voter gets to vote, what kind of voter unrest could occur? Only last year, with the results from Kenya’s closely contested elections still up in the air and evidence growing of election mischief, riots and ethnic clashes erupted across the country. Kenya is east Africa’s most stable and prosperous democracy but rioting killed hundreds after the election. Raila Odinga, who was leading in the polls prior to the election was the candidate Obama had been campaigning for but he lost his election to Mwai Kibaki. All the more reason that Obama’s lack of interference in his Aunt Zeituni’s plea for US Asylum seems suspect. In Chicago, Obama is holding a rally downtown after the polls close on Tuesday night and Mayor Daley believes that up to a million people could flood the city’s streets. All police leave has been canceled and off-duty firefighters have been told to keep their kit ready at home. http://www.chicagotribune.com/news/politics/obama/chi-obama-rally-qanov02,0,5894064.story In Augusta, Georgia reports are of Officers Gearing up with riot training http://chronicle.augusta.com/stories/102808/met_481157.shtml while Detroit and Los Angeles were also deploying extra police out of concern for the potentially heightened emotions raised by this election. We’ve seen “emergency-preparedness” steps taken in Denver before the DNC and at every campaign rally Obama and McCain have attended and nothing major has happened. We’ve prepared for Y2K and nothing happened. In case all hell breaks loose, we will be duly prepared in major cities and do not forget that the Army’s Brigade Homeland Tour of U.S. Combat troops have been repatriated from Iraq to help with any civil unrest. The Army force on active duty on U.S. Soil operates under U.S. Norther Commands Chemical, Biological, Radiological, Nuclear, high Yeild Explosives unit (CBRNE)- The Consequence Management Response Force or CCMRF is commonly referred to as “sea-smurf”. http://www.armytimes.com/news/2008/09/army_homeland_090708w/ The force was fully activated October 1st, 2008 in a response to the controversial John Warner Defense Appropriations Act http://www.govtrack.us/congress/bill.xpd?bill=h109-5122. The title of the law the “Insurrection Act” has been renamed, “Enforcement of Laws to Restore Public Order” http://www.bordc.org/threats/hr5122.php giving power to the President to invoke martial law. Public Law 109-364, (H.R.5122) http://www.globalresearch.ca/index.php?context=viewArticle&code=MOR20061029&articleId=3618. Posse Comitatus Act of 1878 “the power of the country” prohibited a president from using the military for police actions in the United States until now. https://ahrcanum.wordpress.com/2008/10/01/posse-comitatus-act/ Way, way and I mean way, on the fringe is the theory that Delta Forces and Sea-Smurf will operate like Hitler’s SS Gestapo at the start of German socialism. President Roosevelt once said, “In politics there are no accidents. If it happens you can bet it was planned that way.” I hardly think people will take to the streets, nor will the service of the Army, The National Guard, or riot troops be necessary. We are a patient people and have endured two years of campaigning with no unrest. Election Day occurs on a school and work night with honest to God people who have to get up and go to work, and many of McCain supporters will be sleeping well before the results are in. No matter who wins, I believe in widespread respect for the law and while I encourage you to vote McCain, my prediction is that nothing will happen. That’s my theory anyways. NBC News and the group Election Protection are partnering up on election day to provide Americans with a completely slanted, liberal, Obama supporting socialitstic “spread the wealth around” view of Election Day news coverage. http://www.866ourvote.org/newsroom/press-releases?id=0026 “With less than 14 days before Election Day, NBC News and Election Protection will be joining forces to help voters ensure that their vote will count. The news leader and the nation’s largest nonpartisan voter protection coalition will work together to promote the 1-866-OUR-VOTEHotline and http://www.866ourvote.org [sic- http://www.866ourvote.org./ ] website so that voters can receive live assistance if they encounter problems, and access the information before they head to the polls now through Election Day. (Jonah) “Goldman along with Barbara Arnwine and John Strasburger will offer regular updates on the “state of voting”, share their expert opinions on the voting issues dominating news headlines, and provide insight and advice for how voters and lawmakers can minimize the barriers voters face when registering and casting a ballot. ….Election Protection has more than 100 partners at the national, state and local level and is providing live voter protection services now through Election Day across all 50 states. On November 4, Election Protection will mobilize tens of thousands of volunteers, including 10,000 legal volunteers to monitor polling places, educate voters, facilitate a dialogue .” A dialogue with Obama supporters leading the way. NBC wants the American public to believe that Barbara Arnwine and John Strasburger are going to offfer unbiased news reporting, I don’t think so. In her interview with Essence, Arnwine stressed that the law is especially important to African Americans. “It defines who we are much more than it does anybody else,” she said. “We’re not all equal under the Constitution. Our equality hinges on three amendments, and the court is constantly amending the import of those amendments. It’s constantly in flux.” http://www.answers.com/topic/barbara-arnwine She has openly criticized the civil rights record of the Bush and Reagan administrations. To think that the law is more important to African Americans than white Americans is quite a statement. 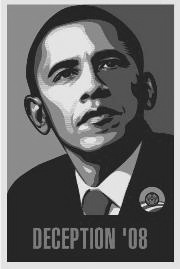 Election Partners is a who’s who of organizations that support Obama. Main Stream NBC is hardly unbiased and like Obama’s other associations with people of character like The Reverend Wright, William Ayers, Atoin Tony Rezko, ACORN, put the liberal reform agenda for government handouts first and foremost. All “….will offer regular updates on the “state of voting”, share their expert opinions on the voting issues dominating news headlines, and provide insight and advice for how voters and lawmakers can minimize the barriers voters face when registering and casting a ballot. Expert opinions that sound like Obama soundbites. Shame, Shame on you NBC.